June 26, 6 p.m. Denver (April 8, 2014) – Colorado Public Television and Mother Mind Studios will present “Neal Cassady: The Denver Years” at a premiere reception and screening on Thursday, June 26 at the Sie Film Center in Denver as part of the Denver Film Society’s Documentary Night series. The film is directed and produced by Heather Dalton and produced by Joshua Hassel who will be on hand at the reception beginning at 6 p.m., the film screening at 7 p.m. and immediately following for a question and answer session. 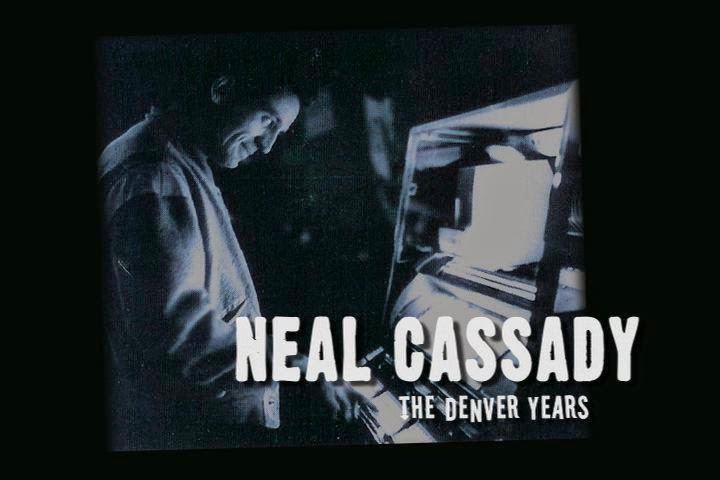 “Neal Cassady: The Denver Years” is a documentary based on the autobiographical accounts of Neal Cassady, his troubled youth in Denver and the crucial role that it played in the germination of American beat culture. Neal Cassady was a charismatic, larger then life character. His charm, manic energy, sexual swagger, and free flowing verbosity made him the authentic ‘hero’ of the beat generation. The film features interviews with prominent and historical figures including Carolyn Cassady, Lawrence Ferlinghetti, David Amram, John Allen Cassady, Jami Cassady Ratto, Cathy Cassady Sylvia, Jerry Cimino, Tom Noel, Ed White and Al Hinkle. Within the film we glimpse the creation of Neal Cassady, the man and the myth, and his tumultuous and humble beginnings as a vagrant’s child on the streets of Denver at a time when the city still echoed America’s Wild West. We journey back to see what shaped the most infamous 20th century muse, and examine the love affair between Denver, a culture in transition, and the some of the most influential writers of our time. By being just himself, Neal Cassady created a foundation for the beat generation and set the wheels in motion for the counter culture revolution that would open up the floodgates for decades of free thinkers to follow. He was introduced to the world as Dean Moriarty in Jack Kerouac’s classic, On The Road and for controversial literary figures Allen Ginsberg, Ken Kesey, Tom Wolfe and Hunter S. Thompson, Cassady was more then a friend, he was their muse and inspiration.